As we prepared to visit the park and hike many of the trails, we realized how overwhelming a visit to Yosemite might be. It is vast and can be daunting. When I first started this project nearly a year ago, I wanted to provide information for those planning to visit Yosemite National Park. JBRish is a small, narrowly focused blog that I curate as a hobby and hopefully as a service to others who might want to share and discuss many of the same ideas about the skills and interests that I have. 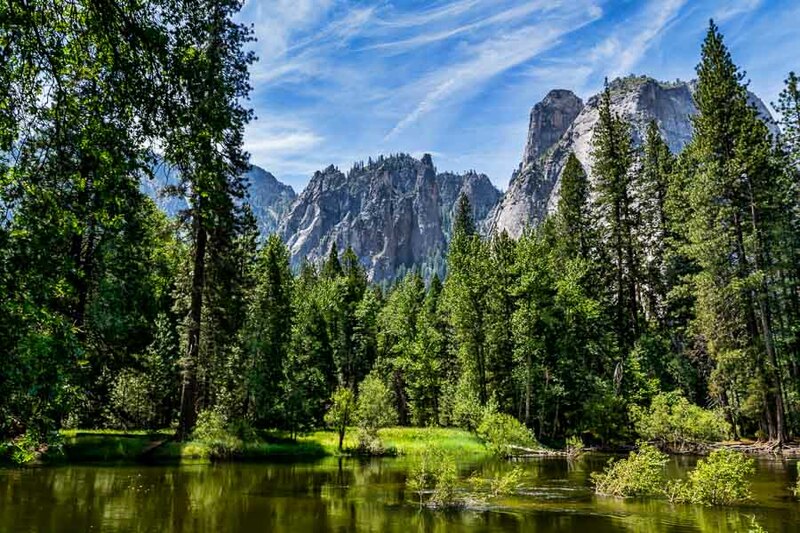 I was hoping to have a dialogue with future and past Yosemite visitors to create a resource as a reference for those who might desire to visit the park. Unfortunately, my posts have generated only a small amount of interest. I have shared photographs of most of the areas we visited and besides alternate views of places and things I have already posted, I didn’t think there was much new that would compel me to continue the series. Couple this with my recent computer troubles which set me back a bit, and I think it is time to end the project. I am hopeful that at least a few people will find the information I shared helpful. I don’t think I could have chosen a better photograph for the final post. 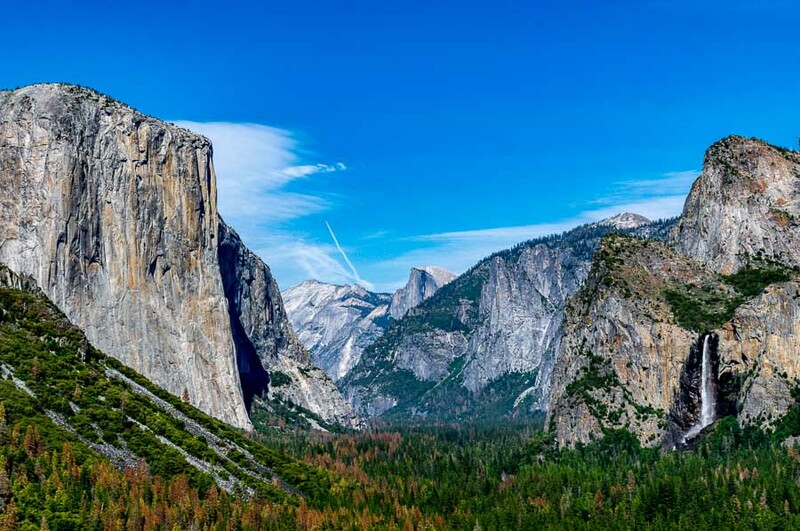 The above scene captured from Tunnel View showing two of the major icons of Yosemite, El Capitan and Half Dome along with Bridalveil Falls, provides an example of the amazing natural beauty of this national park. 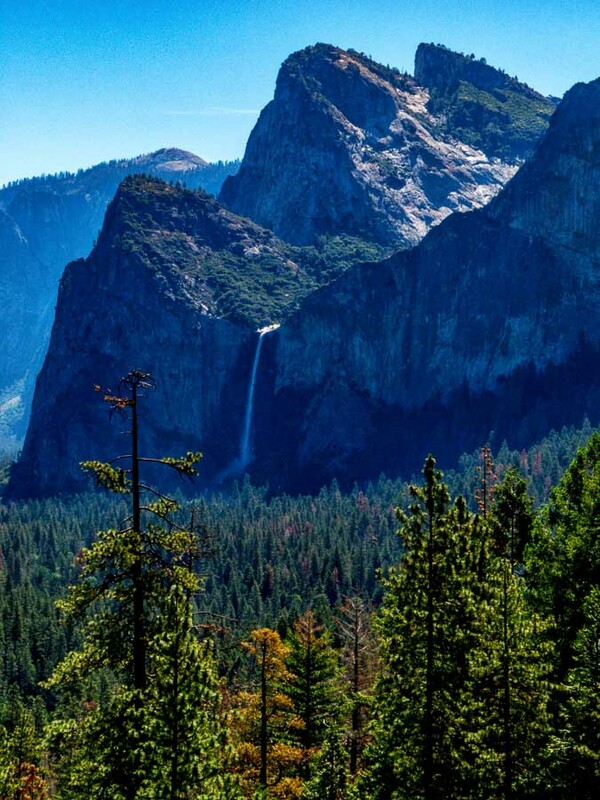 If you love nature or hiking, I can’t recommend a trip to Yosemite more highly! Just realize that it will be crowded and remote. Bring with you all of what you might need as supplies and food are expensive. If you do have questions, feel free to post them in the comment section of any JBRish post and I will try to respond promptly. 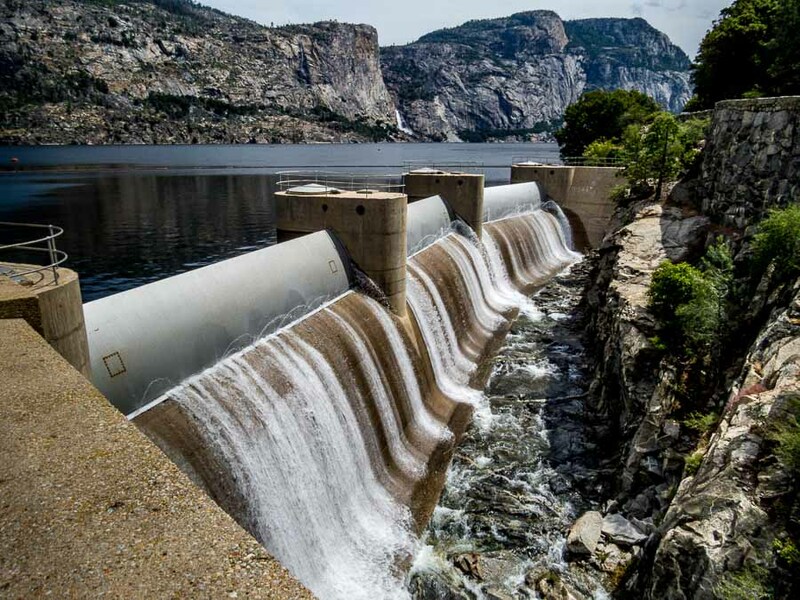 Surrounded as it was by the beautiful mountains and aura of the national park, even the mundane structure of the Hetch Hetch Dam appeared attractive. As you can note, there was an abundant water release taking place this day to compensate for the full-flowing waterfalls and recent rains. 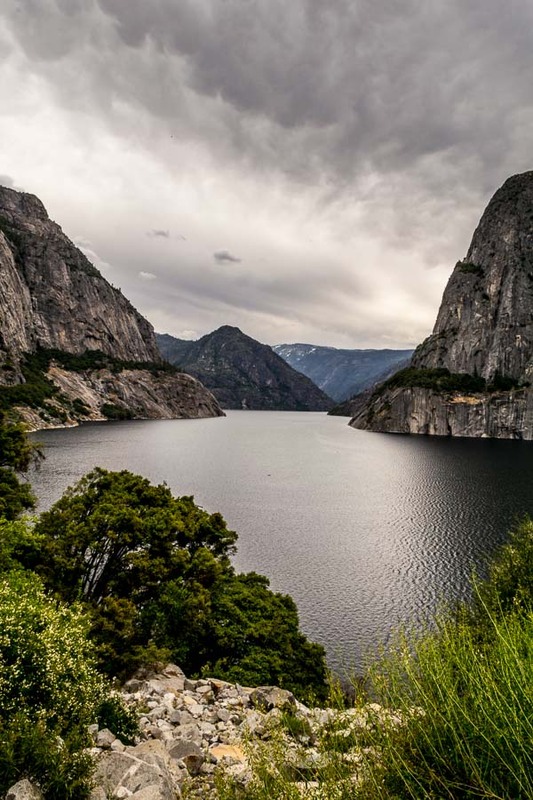 It has been reported that John Muir thought The Three Brothers provided one of the most spectacular views of Yosemite Valley. 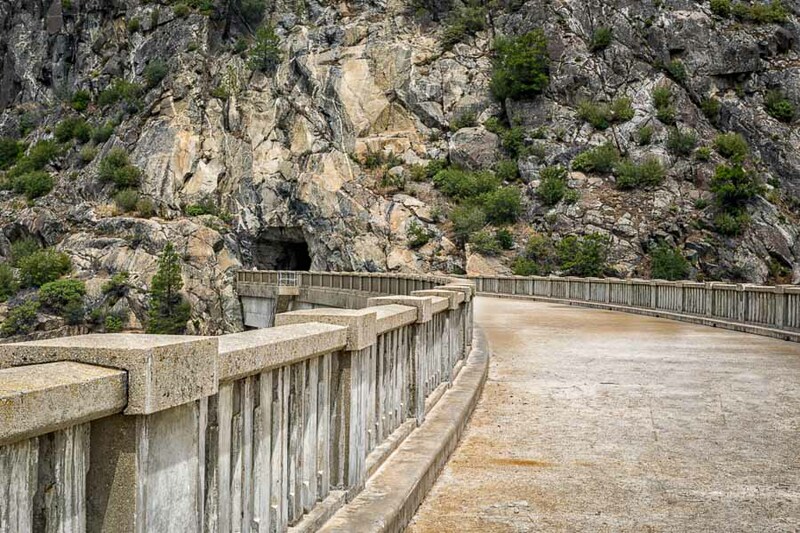 The photograph above was taken from Tunnel View where the entire valley opens before onlookers. 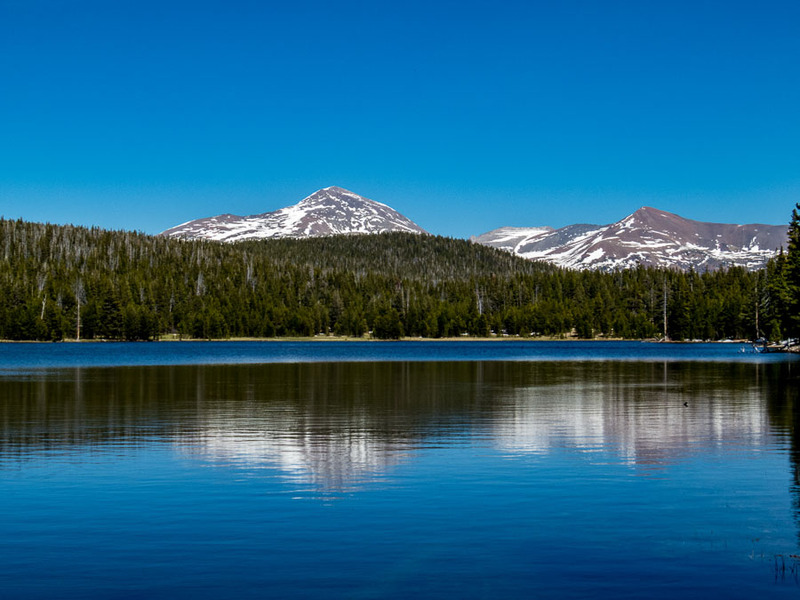 The highest or uppermost brother is Eagle Peak. Then there is the Middle Brother and the Lower Brother. Bridalveil Falls was flowing well this spring. 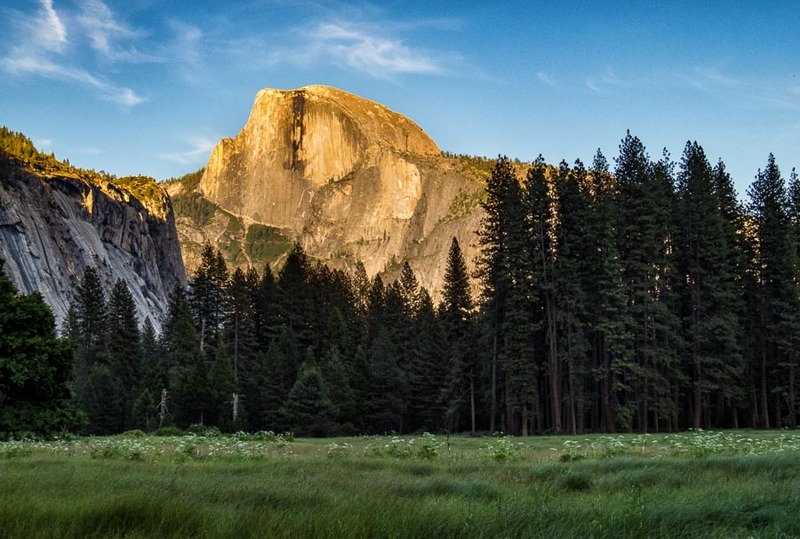 Half Dome as seen from the nearby meadow. This is the last of this series of photographs of Half Dome taken from the meadow near the Yosemite Valley Lodge during the approaching evening hours. Being presented with such a spectacular and iconic view with golden light, I didn’t want to miss a good shot. Add to this the fact that I was essentially using my camera for the first time, I had to make sure I took enough photos of this view. Some of the readers may think perhaps too many! 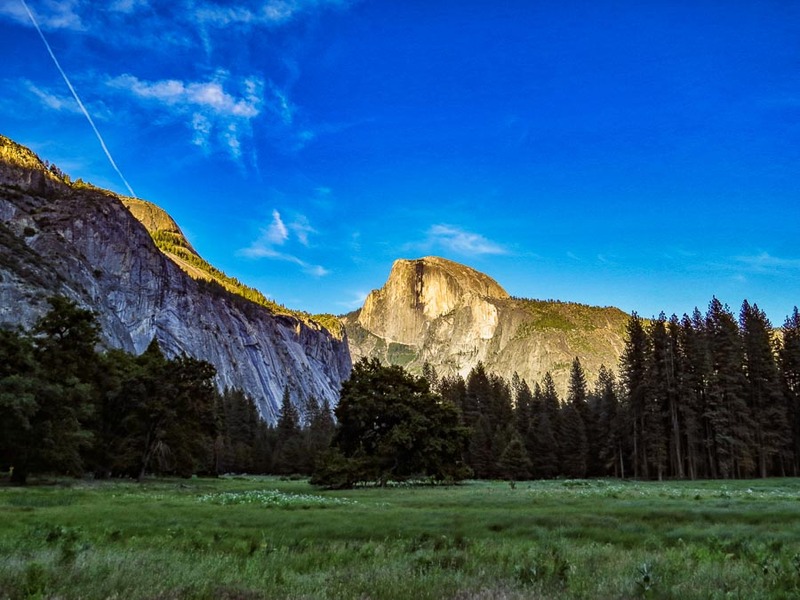 Today’s photograph of Yosemite is another capture of Half Dome from an open meadow in the vicinity of Yosemite Lodge. We move a bit closer with this picture when compared to that of yesterday. As you can see, the evening light was taking on a golden glow. It seemed as though Half Dome was following us wherever we hiked in and around Yosemite Valley. As reported in a number of posts in this series, it had rained a number of days prior to our arrival and there was a decent amount of snow melt. 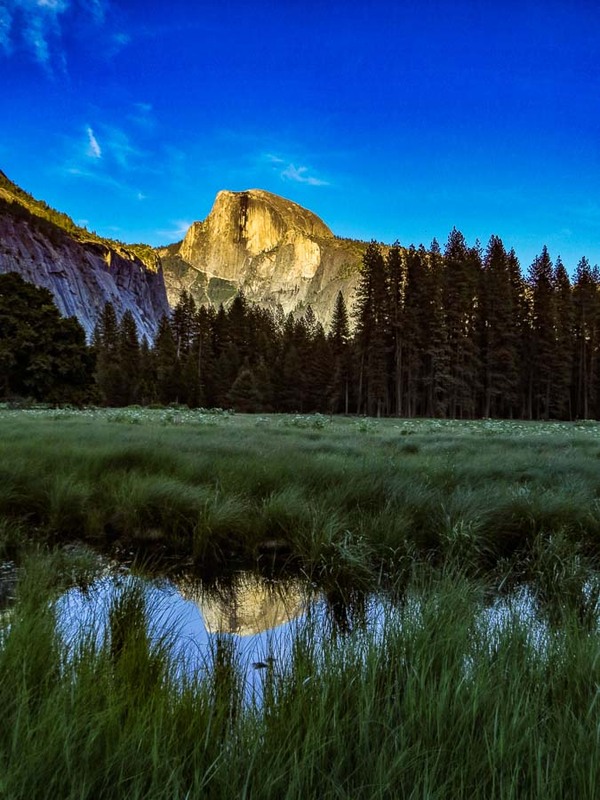 Because of those two factors, puddles remained in the meadow near our lodging and I was able to take several photographs of Half Dome with puddle reflections. JBRish.com will be on a brief hiatus. Additional quotes, quips, posts, etc. will resume shortly. As you might have gathered from my previous posts about Yosemite, the Merced River meanders throughout the valley and this too will cross your path a number of times if you do much hiking in and around the Valley. We were delighted that the river was flowing well and there were both rapids and more placid expanses to reveal the full character of the Merced.